ALCP uses self-awareness as the key to both leadership and diversity development to create an innovative culture. The program helps participants to understand each individual’s personal preferences and behaviors and how each person not only interacts with his or her co-workers, but how they are viewed by others, peers, subordinates and supervisors. This approach includes addressing people’s unconscious biases to help them discover new approaches to doing things and emphasizing the strength and power in accepting individual differences to produce a stronger “whole.” ALCP training promotes communication through common language and helps develop leaders who value individual styles and behaviors, creating leaders who are more capable of critical thinking, problem solving, teamwork, collaboration and creative innovation. There are three different levels of ALCP training for Army Acquisition Workforce members (ALCP-B for GS 7-11; ALCP-Level 1 for GS 12-13; and ALCP Level 2 for GS14-15). Command or organization representatives nominate workforce members in a 1-N list, by command quota. Check the ALCP program page for additional information on this great training opportunity. Looking for a way to pay for your continued education? Are you short business credit hours to apply for Acquisition Corps membership? Look no further! 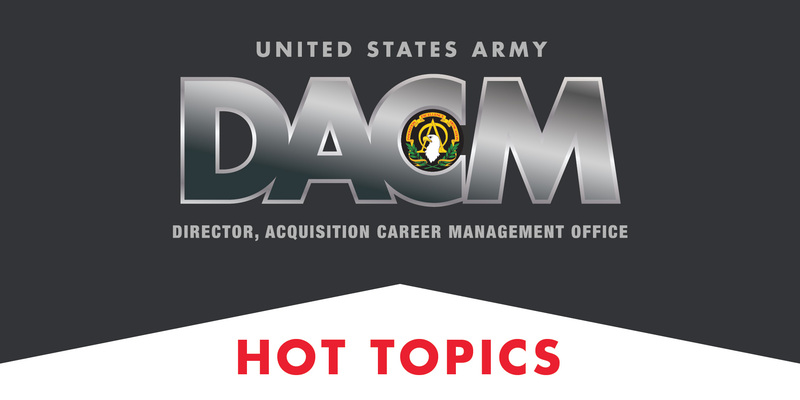 The U.S. Army Acquisition Support Center (USAASC) DACM Office is pleased to announce the 2014 offering of the Acquisition Tuition Assistance Program (ATAP). The ATAP announcement opened July 8 and closes August 6. ATAP provides tuition assistance for eligible Army acquisition workforce members to complete required business hours toward Army Acquisition Corps membership or courses towards a bachelor’s or master’s degree during off-duty time. The USAASC Army DACM Office is the sponsor of the ATAP and will cover tuition costs within specified funding limits. Book fees, graduation fees, registration fees, general fees, and travel expenses are not funded by the ATAP. Make sure you are currently enrolled in or accepted by an accredited university or college—then you can take classes beginning in October at little to no personal expense. 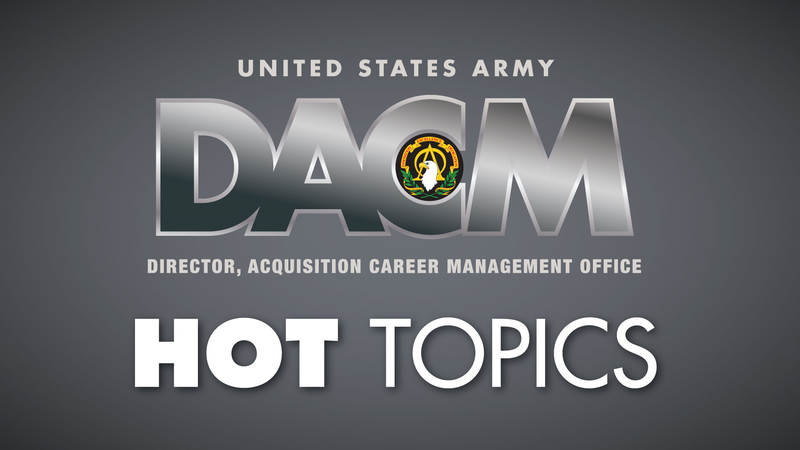 ‘DACM Hot Topics’ is brought to you by the USAASC Acquisition, Education and Training Branch to help Army acquisition professionals stay on top of career information with timely updates including training opportunities, current program offerings and what’s on the horizon.